This page will contain selected comments from e-mail & Direct Mail we receive that bears sharing with our visitors. We reserve the right to excerpt from mail received. Topic: What if String and in particular String Figures could be used as an energy device? If you take the premise that we are all made up of energy. The same stuff as the computer on your desk and the stars above your head. So it stands clear to me that the string and in particular the string figure is also made up of energy. I come from a belief that everything is alive and responsive (King, 1990). When I hold the string in my hand I am aware of its vibrations. I am also aware of how these vibrations influence me. I believe that we are all connected. This not only means the connection between people but the connection with everything in our environment. I connect with the string and with its vibration and frequency. With my intent and my thought, that is also a form of energy, I can influence changes within myself, others and the environment. One technique that I use is to hold the string in my left hand with the string crossing over my palm between my thumb and little finger. I then insert my thumb and little finger of my right hand into the loop from above and turn my right palm toward me while I extend the loop to my right. This makes the loop of string have a cross in the middle like a figure 8 or an infinity sign. I then rotate both of my palms towards me and away. This seems to increase the chi or energy in my body. I especially feel this up and down my spine. This is just one use of string as an energy device to increase the flow of chi that we have been working with. We would love to have your comments and other insights on this topic. I am a member of the string figure list and just today started looking through your very well done website. I was especially intrigued to see your reference to the use of string figures in education. I too am a speech/language pathologist, who happens to be a storyteller and uses her job description to afford opportunities for storytelling and teaching kids to tell! String figures were added to my repertoire about three years ago. I have a storytelling troupe of "middle-tellers," and I know the fact that we play with string figures is what brought some of them into the group. I always enjoy going on field trips or to the lunch room, and watching as one of my tellers engages a group of kids with her prowess in string! So refreshing to see in this day of Gameboys and Walkmans. being in conflict with that, and am interested in learning about alternative approaches to health and healing. Thank you so much for bringing this to my awareness and providing such a great starting point to learn more. dimension to our appreciation of string figures. Keep going! begun to remember the significant events related to my love for the figures. your site and just giggled with anticipation at what else i might find. Until yesterday I had never heard of you and today I visit your site... alerted by the Aloha Int. newsletter, yesterday... but as you know, the site was down technically, for some reason, yesterday. Yesterday (before even getting the email newsletter) "I" wrote the piece below ... which is part of the ever-on-going intuitively-received course of instruction that I get. You will see the potential correspondances between string figures and dream locks.... I think "dream locks" could also be appropriately called "knots" or "ties that bind" (One into a particular Life Dream). If One’s life is but a dream, then the question becomes how satisfied... how dissatisfied... how pleasant... how horrible... how glorious... how inglorious is The Dream, from One’s own perspective? And what to do about it? How to “wake up” from the nightmare (should it be so)? Or how to “transform” into an even-more entertaining or useful or (fill in the blank) Dream? The answer to changing One’s current dream is to find THE DREAM LOCKS THAT HOLD One into this particular dream........ to find that locks that make the dream, seem real (that is: to find those locks which cause this particular dream to be accepted AS real, AS relatively-inalterable, AS “who I am, really”. Such dream-locks EXIST..... they are the VERY FOUNDATION of this dream........ they are precisely what this life is built upon. (1) and we emphasize, again, that such incidents are most-likely scattered through a multi-dimensionality of time and of space..... that “you” (in this moment) are a composite of incidental-feeds...... most of which are “hidden” from conscious-awareness precisely because your (societally-accepted) dream of reality does not SERIOUSLY acknowledge or include the possibility of simultaneous trans-temporal “existences”. We have also suggested that such incidents may be called “turning points” (within time). Most dream locks ARE at such turning points. First, many thanks to you and Earl for the String Figure class. I didn't have much of an idea of what I was going to, as it was a treat from my mom. It was delightful! I am fascinated by symbolism and the sacred in many cultures, and found the way you emphasized meaning and ritual into what is usually thought of as a childrens game (by most of us anyway!) a wonderful thing. And thank you for making me feel so warmly welcomed into the group. Cross the string once before you loop it over your thumbs and pinkies, so you have a figure eight. Loop your index fingers through the palmar strings as usual.Take your thumbs over both index strings and pick up the near pinkie strings. Pull the thumbs back to their original position. Dip the index fingers down into the big holes left by the pinkie strings. Hook those with the back of your index fingers and bring them back to their original position. Extend your hands in front of you, and you have a rainbow. Like I said, it's a real simple one, but I thought it was kind of neat! I just transcribed the lyrics to the song of the story I told in class. I am going to mail it to you, as it is rather long. But I'd be happy to e-mail it too, if you would like. I'm still researching the Crane Skin Bag. I've found a little, but not the reference that I was thinking of. So that will be forth coming. While looking, I did find some things on knots and thread in Irish and Scottish folklore. So I'll organize that and send it as well. None seemed like string figure kind of things, so it's not quite on the mark. But it's all related in the bigger picture and you might find it interesting. So be patient, and I'll send you all kinds of stringy stuff! I'm going up to Washington to see my parents next week (we will practice our strings! ), so I might not get this to you right away, but I'll have time after that. Once again, it was a pleasure meeting both of you, Aloha. Lois... thanks for the long reply that I just read after it sat in my inbox for a number of days. What to make of those Maya? and does ANYBODY have ANY idea what the maya were thinking? I do wonder, however, about the heiaus possible relationship to the maya pyramids... and also the practice of human sacrifice in both cultures. This is kind of making me a bit crazy because I KNOW I WROTE A PIECE EXACTLY STATING THIS.... a few days before I left for Mexico. and "The Universe" does respond... this is how Serge King's dream change process works, I believe. IMAGINE "BAD" DESTRUCTIVE THOUGHTS OR (B) MUST HAVE BECOME SO PURIFIED AS TO BE INCAPABLE OF HAVING "BAD"
through an opening at the top to become geysers of spray. With the geyser is a most impressive thunder and whoosh. So it is that waves of information pulse through the universe, like waves upon the sea. thunder, for all to see.... for all to hear. Lois... your words being read now at 7AM here are timely... for me. About the coconut wireless: another way of thinking about this phenomena is this: rather than considering it telepathy which is usually thought of as a "sending and receiving" between two or more human parties, it can be thought of as: "non-local mind". This term I encountered in a book by Russell Targ and Jane Katra... I think the term is used a lot now but for me it is an informative model. From this viewpoint, it is not that messages are "sent" or "received" but rather that those individuals tuned similarly into particular "realities" SHARE the same mind.... access and express the same data base, so-to-speak. We have the expression of: "being on the same wave length". and I have experienced too, several times, that I and others shift on and off the same wavelength..... people appear via email or other means and we converse for a time.... then they (or I) loose interest and "disappear"...... "loosing touch" with each other, as it were. Actually... to bring this email full-circle... explaining this to myself..... I SEE that my cycle of disillusionment could be thought of as precisely this kind of shift..... being a process of re-tuning. Many of my Hawaiian friends communicate telepathically through what we laugh at as "The Coconut Wireless". It seems that we may be on the same wavelength as well. and you can be sure I will. what you want and not on what you don't want really works. those aka cords and we will hear you. more persons, each section is for all: ----- the ideas are "strung-together" (a pun for the benefit of Lois). Mark: Remember how in our recent visits to the Mayan sites in the Yucatan, we saw (and walked upon) several sacred "roads" constructed by the Maya with great effort? Sometimes these roads were elevated 15 feet or more out of the surrounding land and were as wide as 20 meters and the longest was over 100km? The ones we walked upon connected various secitons of sacred sites... but were known to also extend from one sacred site to another. We marveled at the huge amount of effort expended in construction...especially given that the Mayan had neither wheels nor wheeled vehicles to make use of these carefully smoothed "roads". I forget the spelling of the Mayan word (or spanish word) for these "roads"... something like "sacrabes". Mark & Shane: Remember how we used to go visit Anasazi sites in Southwest Colorado and Utah? Remember that it was said that these sites, too, were inter-connected with "roads"? For instance from Mesa Verde extended in several directions "roads" to other Anasazi sites... sometimes of great distance... and of course the Anasazi also had no wheeled vehicles. Mark & Shane & Lois: Read now this quotation from page 103 of Fred Alan Wolf's The Eagle's Quest. (Wolf is a Phd physicist/author who has a done a lot of study on the possible relationship between quantum physics and shamanism): "I met Paul and Charla at a wonderful old Welsh hotel in the center of Brecon called the Wellington. I asked Paul to explain what his work was about and how it might relate to my project on shamanic physics. He was originally an artist who found great interest in the geometry of the earth. His research dealt with ley lines - somewhat mysterious markings on the planet that are often mistaken for ancient roads. Paul told me that when ley lines were discovered, researchers explained them as indicating that ancient peoples placed some of their spiritual sites in alignments. He had performed extensive research trying to show that the ley line has spiritual significance. While I was interested in their spiritual significance, I was after their physical significance and what they might have to do with shamanic healing power:"
Lois: What would happen if string figures were considered to be hand-held, hand-created geometric formations analogous to... and perhaps serving the same purpose as..... gigantic earthen constructions such as the Mayan sacred sites that were laid out, themselves, in specific patterns... and which were inter-connected one with another by sacred "roads"..... which are perhaps indeed POWERLINES? My name's Jennie and I just stumbled across your website. I have some friends who are having a really hard time dealing with everything that's going on in the world right now, and your Aloha String Figure and bracelet seem like they would brighten their days. Can you send me some information on how I could get ahold of a few booklets and strings? It would be much appreciated! I have just visited your beautiful website - the experience moved me to tears of happiness! You see, after a personal experience of cancer (now fully recovered!) I have become aware of my own spirituality, and I have since been on an amazing journey of discovery, finding special meaning in the wisdom of the world's older cultures. My websearch for string games began after showing my three children how to make the figures I remember from my childhood; I am delighted that there is such a positive web presence for this art, and can't wait to share all the discoveries I have made with my children tomorrow!! Most of all, I am very moved by your concept of the Aloha String Figure and the Incredible Rainbow Bracelet!! I would very much like to purchase some of these bracelet and booklet sets and give them out to people over here in Derbyshire (U.K). I have been sitting in front of my computer for two hours working out honu from your illustrations on the web site and I have to tell you how impressed I am with all you are doing. 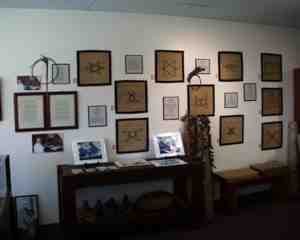 Lois and I were in the Huna Healer Training together in 1999 along with my friend Judy. Lois and Judy emailed some after we got back home. I hear you on the Talk Story tapes telling all that you are doing with string figures and I'm amazed with what you are accomplishing. I'm looking forward to hearing more. Thanks for the beautiful and educational web site. I have mostly been using the Averkieva/Sherman book; it covers a lot. actually people(natives) who know figures are few and far between, as I'm sure you know. I will be posting a website database of the figures I have learned...sometime. I have solely been studying the figures from this area for nearly a year. The figures seem to have a real connection to the area from which they came. With this in mind, I'm interested in studying and comparing the Hawaiian figures w/ those of the Pacific NW when I travel there. I have noted several comparisons listed in 'Kwakiutl String Figrues' and am excited to trace any possible places of intersection. What does your 'school' offer? How many native figures have you accumulated? My schedule in Hawaii is both busy and flexible. I am currently enrolled in university here in Bellingham, WA. Next quarter I have arranged for my studies to take place in the islands, there. Part of my work will be helping to edit a documentary that a friend has been compiling for the past few years. I will also be taking a web based class through Outreach at the University of Hawaii on Political Futures. To round out my studies for the quarter I have considered exploring the string figures of the area. Besides the strictly academic approach, I have begun to explore an artistic angle in my life direction so, there is possibility to document the figures in this way as well. Your approach to figures(as seen on the website) seems very different than most others I've been exposed to.